The Modkid 10th Anniversary Celebration is here, and it is huge!!! In October of 2008 I released my very first fabric collection at the International Quilt Market in Houston, TX. The collection was Andalucia for Michael Miller Fabrics. I had a small booth and had brought with me a few dresses sewn in the fabric to display alongside sample quilts that other people had graciously made for me (since I'm not a quilter). Those dresses were my own designs, self drafted in my kids' sizes so they could wear them after I returned. Well, little did I know that not only were attendees going to love my fabric designs, but they were going to literally beg for sewing patterns based on those self-drafted garments they saw. 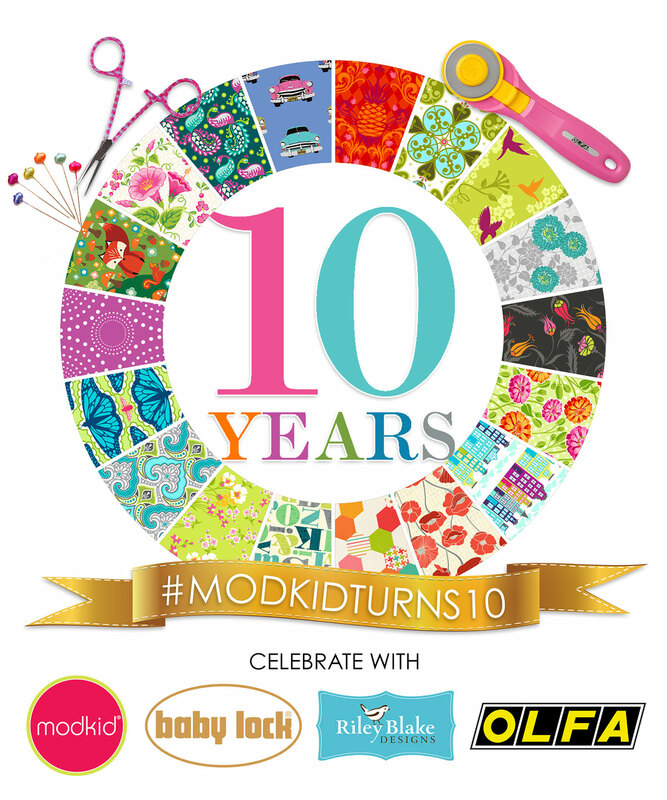 MODKID was born that weekend, ten years ago! I came home after the show with a true purpose. I began drafting my first four sewing patterns: Lil Chef, Frida, Emma and Kyoko. They were truly a labor of love. The following Spring, I debuted those 4 patterns at the Spring Quilt Market and the company as it is today, grew from that point on. Fast forward 10 years, and I now have 20+ fabric collections, 150+ sewing patterns (in paper and PDF formats), 5 books, and several designer notions. I am also incredibly lucky to have aligned myself with some pretty amazing companies to work with. I truly could not be happier! 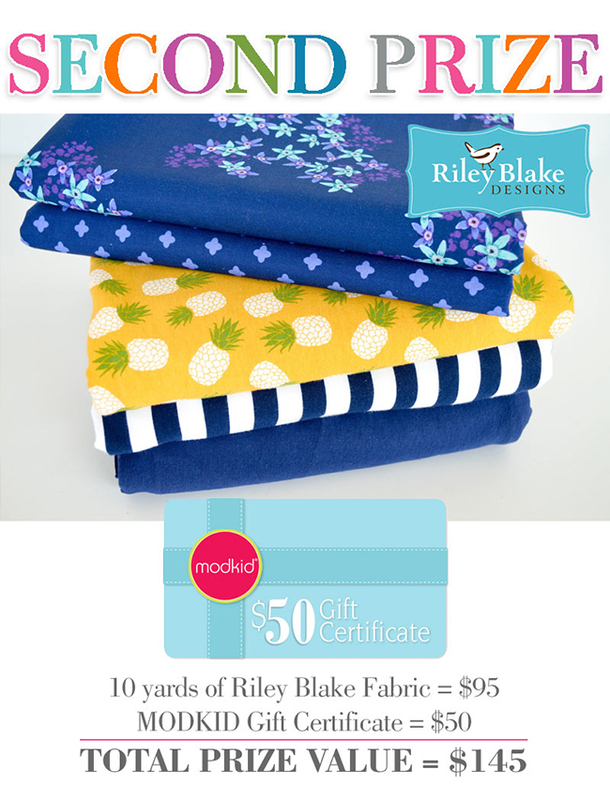 I am currently a Licensed Fabric Designer for Riley Blake Designs, an author for C&T Publishing, a Contributing Artist for Silhouette of America, a Creator with OLFA and a Brand Ambassador for Baby Lock Sewing Machines. I couldn't have done it all without the love and support from my family, my sponsoring companies, and most importantly ALL OF YOU! So I would like to show my appreciation to you and celebrate this momentous occasion by holding a HUGE GIVEAWAY with amazing prizes from yours truly and our sponsors. 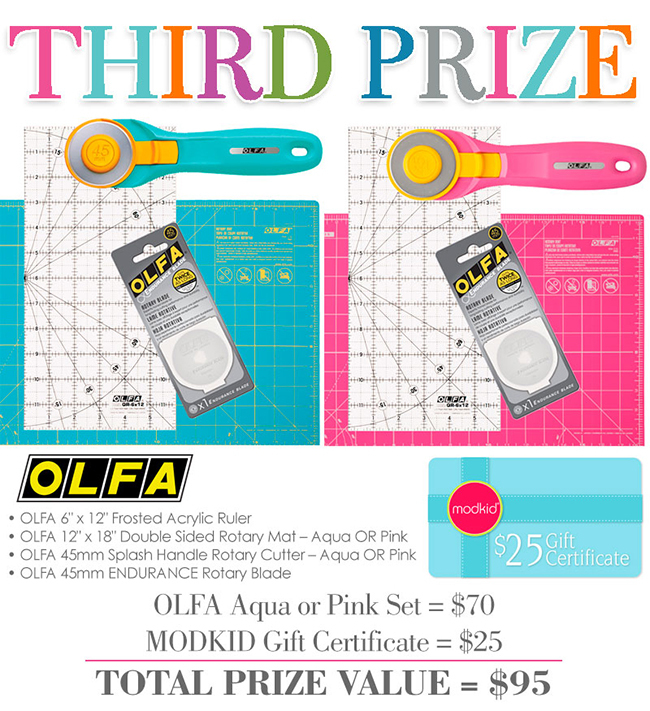 Check out the three grand prize packages below and find out how to enter this giveaway at the end of this post. 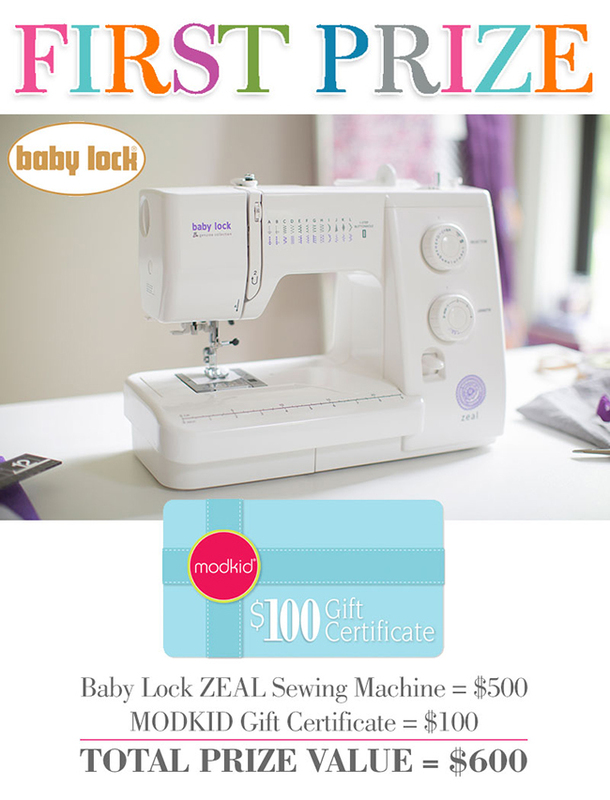 The first prize even includes a Baby Lock Zeal Sewing Machine!! In addition to the giveaway, we are having a celebration SALE. Coupon code MODKIDTURNS10 gets you 40% off your entire purchase through the month of October. Code expires October 31st, 2018 at Midnight EST. You must be a legal resident of one of the United States and at least 18 years of age. NO PURCHASE NECESSARY TO ENTER OR WIN. VOID WHERE PROHIBITED. This promotion is in no way sponsored, endorsed or administered by, or associated with Facebook or Instagram. The giveaway will run from October 15th until October 21st. The three winners with be selected at random. Congrats on the milestone! Lots of love from the other side of the globe. Love learning from others. Glad to learn there are still crafters out there. Congratulations on this huge achievement! Is there any chance for me to enter if I'm in Canada?? ?